The best stories are the most engaging - but sometimes that isn't straightforward. Presbee was built from the ground up to enable you to create the most engaging story possible - no matter the subject. We've put a lot of effort into making sure that you have all the tools necessary to engage with your audience. We provide you with gorgeous design templates and intelligent content to get you started and from there you can design without limits. Design is central to everything we do at Presbee whether it's how you interact with our software or the output you create with it. We provide all the tools you'll need to make sure you meet your high standards. We have templates to help you get started, access to millions of royalty free images and video, fonts and text editing galore and our custom image editor allows you make sure every aspect of your presentation is just right. You can of course build your own design templates from scratch to make sure you properly represent your brand. No idea of who is seeing your presentation? Is everyone using the latest version or is it all out of date? Are people copying your content and IP and using it as their own? Is your private work being forwarded to other people? Viewer analytics - Tells you who viewed your presentation and when. Version control - There is only one published copy and it is always the most up to date. Security over your IP - It is much harder for people to copy your work. 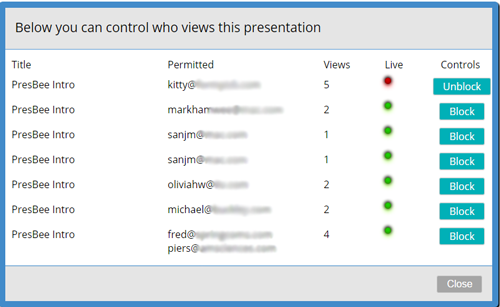 Control Access to your presentation - Switch people off from seeing content after they no longer need access to it. With Presbee you know who looked at your content, how often they viewed it and when they viewed it. This allows you to better understand the successful parts of your content as well as understanding who it is popular with. This might also be important if you want to follow up with a client or prospect after knowing that they have actually reviewed your information. Possibly the most important feature of this however is the ability to control who can see your work. Suppose you provide sensitive information to a supplier but then choose to no longer work with that supplier. You can simply block their access to the work you had previously provided. Create a more immersive and engaging story with animation. Presbee enables you to move objects around the screen, enlarge them, shrink them or alter them in a number of ways to deliver a better story. This is a really powerful feature within Presbee to enhance your story and give you a better chance of success. This allows users to deliver complex information in a more simple way to end users. Whilst the world has embraced the cloud and things have moved increasingly towards online delivery - we've made sure that Presbee is available both online and offline when presenting to make sure you deliver your story wherever your business may take you. 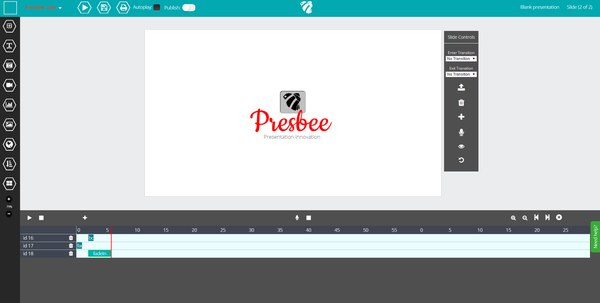 Presbee allows you to build presentations online and store them locally on your computer to ensure that you are always able to deliver your story. 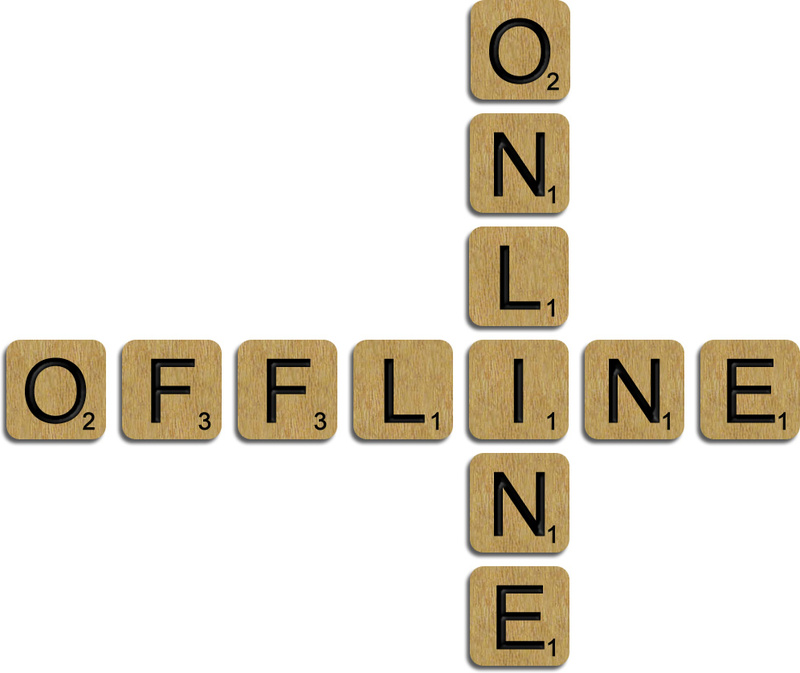 When you're online the software automatically uses the online version to ensure you are always working off the lasted version. Interactive presentations - more than just taking data! 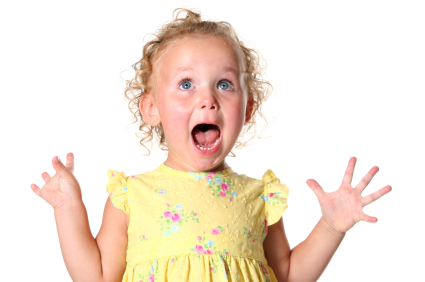 Presbee is fully interactive which means that you can capture data from within a slide to get instant feedback. Interactivity is more than just that though! With Presbee you can create dynamic links that jump to different places within a deck - making it a non-linear user experience. This powerful feature allows audiences to drill into the information that they care about. This also enables you create custom paths through the same presentation depending on the audience. The world has changed a lot recently and the subjects we discuss and the tools needed to discuss them are constantly evolving. 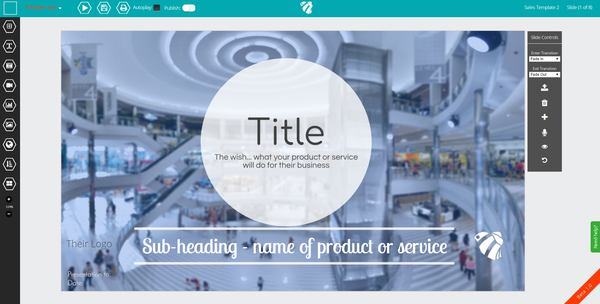 Presbee provides all the tools you'll need to tell your story your way without compromise. 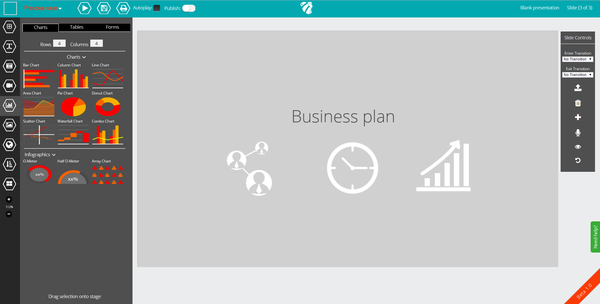 Now you can show an entire live website within a presentation. 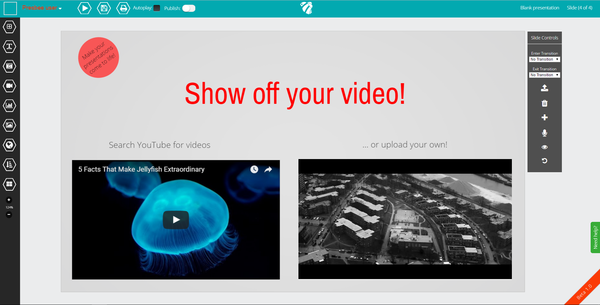 Upload your own video or audio and we'll stream it when required to minimize file size. Alternatively drop a YouTube video in instead. We've got solutions for charts, data you name it. Presenting can be daunting so sometimes it helps to get a head start with an outline content structure based on your specific objective. Couple this with one of our gorgeous design templates and you're along way down the line to being ready. We have templates for a range of objectives from education, selling a service, responding to a proposal etc, that mean you can just tweak the content for you specific needs and you're good to go.